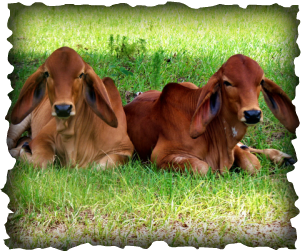 For more than 30 years, we have been raising beefy type pure Red and Gray Brahman cattle with notable and quality genetics. At Bar Triple L Farms, our focus is incorporating foundation bloodlines to breed true red and gray brahmans with thickness, structural correctness, eye appeal, and dossal dispositions. Our cattle being proven both in the showring and pasture, we offer you some of the best Brahman genetics in Southeastern United States.